Currency: Like the rest of Spain, Barcelona uses the Euro. Credit cards are widely also accepted throughout the city (Visa and Mastercard mainly.) 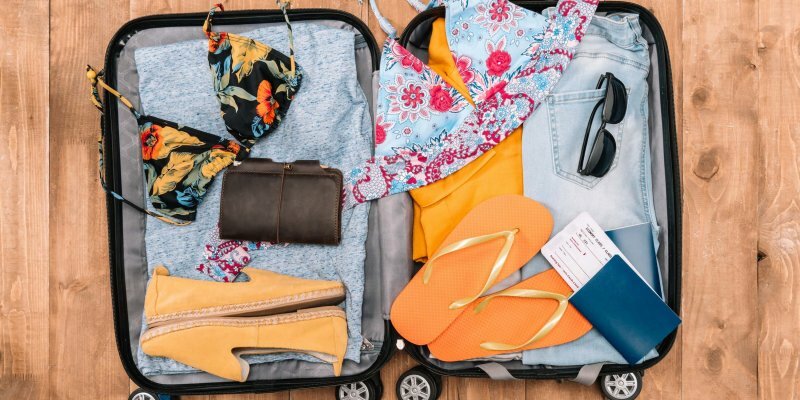 Learn more about how to save money on travel. Climate: Barcelona has a Mediterranean climate, which means it experiences mild, rainy winters and hot, sunny summers. 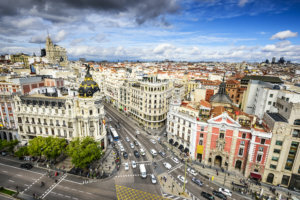 Check out what to pack for Spain in the fall and in the summer for more tips on how to prepare. Languages: Spanish and Catalan. While Barcelona is an international city, the level of English among the locals isn’t high. Spain, in general, has a relatively-small English-speaking population compared to, let’s say, Germany or Sweden. Political Climate: There has been a movement for independence from Spain in Catalunya for decades. Right now, the former leader of the Parliament of Catalunya is currently in exile because he called a referendum in 2017, in which the majority apparently voted for independence. Be aware that there is some anti-Spain sentiment in this region, and a considerable number of Catalunya natives don’t even see themselves as Spanish. How do you get around Barcelona? 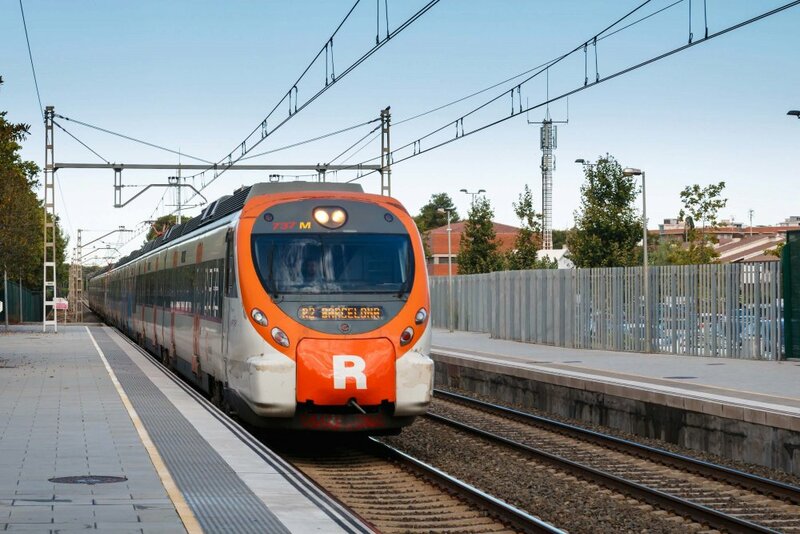 Barcelona has a well-developed public transportation system consisting of trains, metros, buses, and trams. There are also private shuttle companies and taxis, although you really don’t need those. There are so many affordable public transportation options that taking a private shuttle is kind of a waste of money, unless you’re arriving at 3 am in the morning. This article covers all the transportation options to get from the airport to the city. It also gives you a breakdown of the prices, where to find the transportation options, and money-saving tips. Beyond getting from the airport to the city, the post also covers general transportation tips and FAQs. 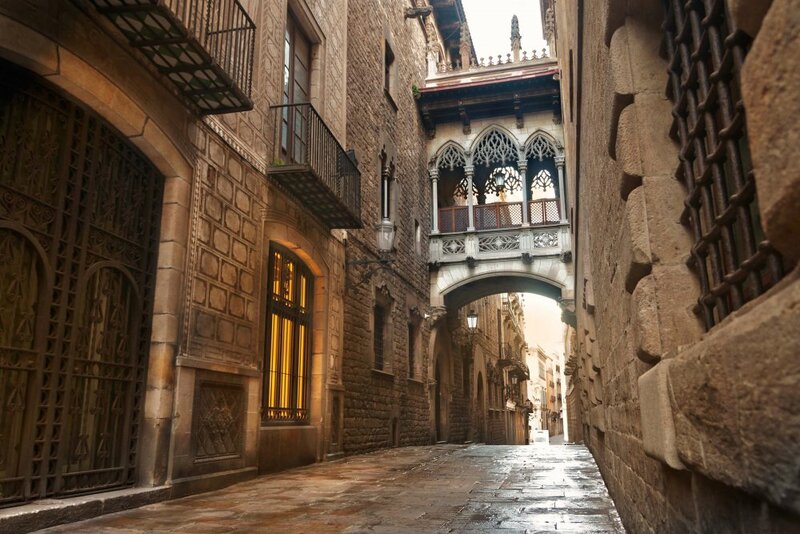 What’s the best route to do a walking tour of Barcelona? 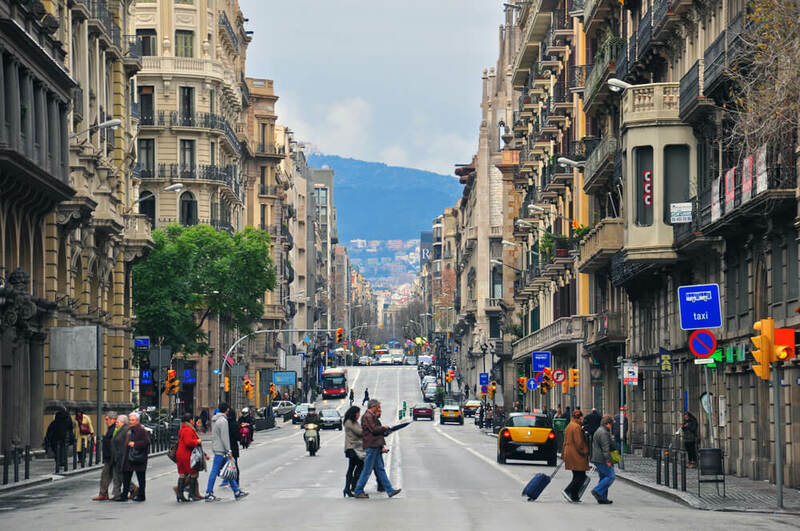 The best way to see Barcelona is by walking since the city is mostly flat and condensed. You can do a free walking tour with a company like Sandeman’s Free Tour of Barcelona or create your own personalized walking tour. If you’d prefer to go at your own pace, I’ve created a self-guided walking tour for you to visit 10 must-see places in Barcelona. This post comes with an interactive map – perfect for those who are challenged with directions like me! 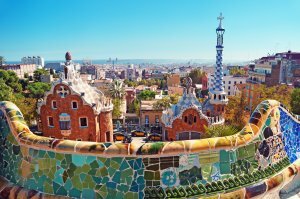 What are the best things to do in Barcelona? There is a multitude of things to do in this city, and that’s probably an understatement. The best thing to do in Barcelona, in my humble opinion, is to see the Gaudi architecture. After that, you can explore the food scene, such as the rooftop bars and food markets. There’s some good shopping to be done here, too. 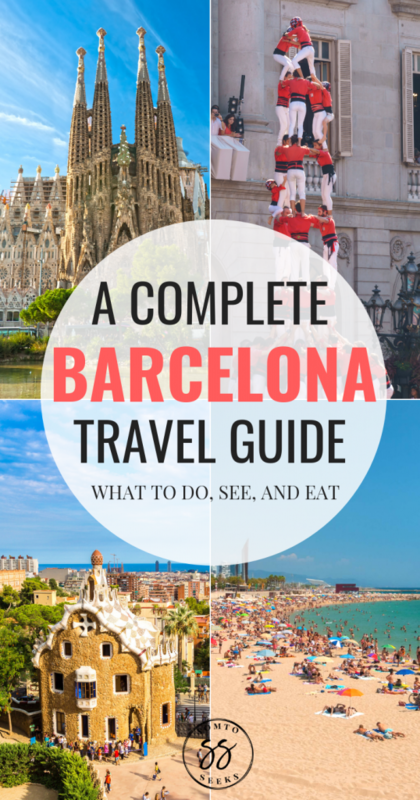 Luckily, I’ve compiled 101 of the best things to in Barcelona all in one place for you. From the top restaurants to scenic parks, you’ll find virtually anything you’re looking for. 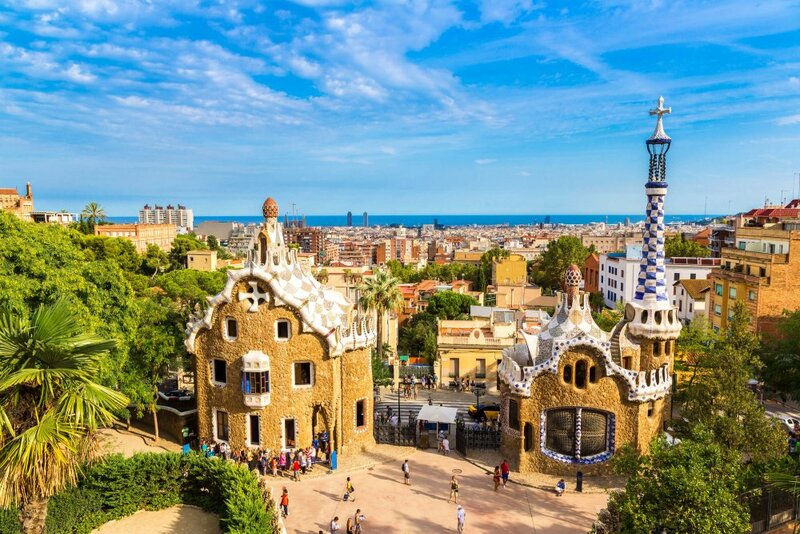 Which Gaudi buildings are the best to visit? Gaudi has dozens of buildings all around Barcelona. Which ones should you visit? Well, you could visit all of them, but I’m sure you’ll like time to do other things, too. 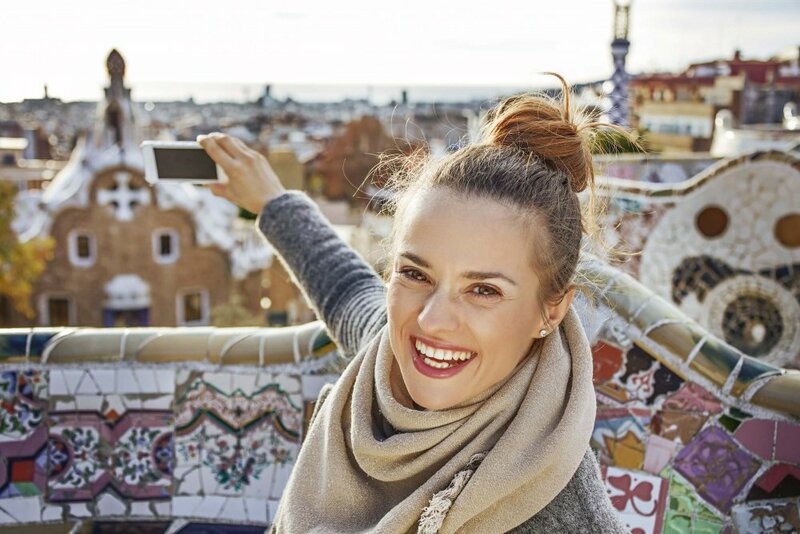 Here’s a self-guided walking tour that’ll take you to the top 6 Gaudi sites to see, from Park Guell to La Sagrada Familia. Also, learn tips to avoid queues and make the most of your experience. 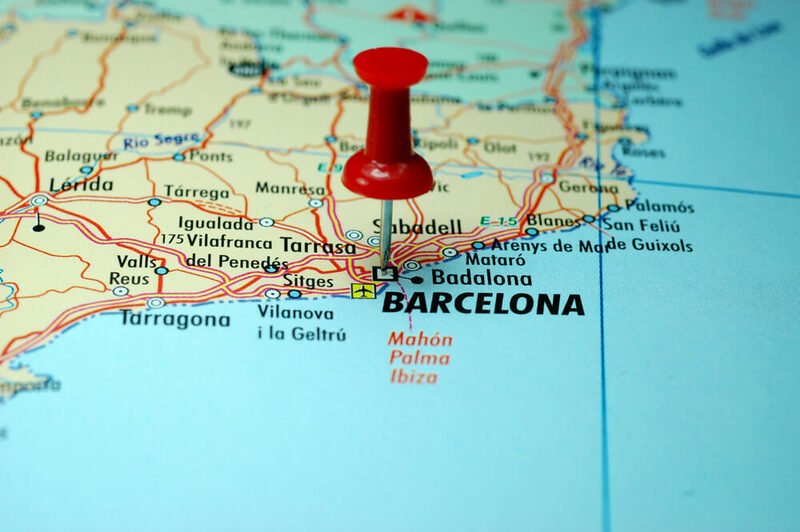 What tourist mistakes should you avoid in Barcelona? 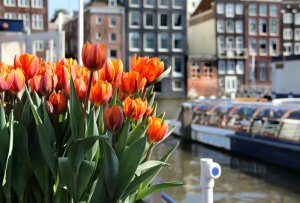 As a first time visitor, there are some mistakes to avoid, for sure. Tourist traps abound in this city so make sure you’re aware of them before you go. Besides that, you also want to make sure you’re careful in the metro and in crowded public areas since pickpocketing is common in Barcelona. I’ve never had any issues, but I know others have so I just wanted to give you a heads up. 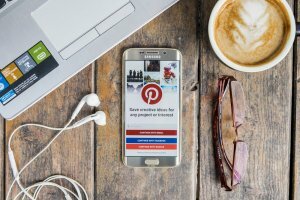 What are some free activities to do in Barcelona? There are lots of free activities to add to your Barcelona itinerary. This is a breakdown of the 25 best ones, from free museums on Sundays to street art. 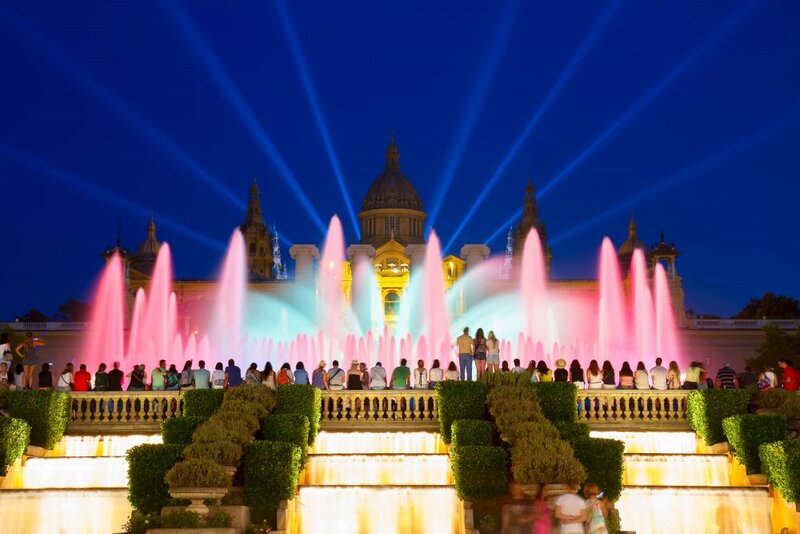 You don’t need to break the bank to have a good time in Barcelona. Are there Christmas Markets in Barcelona? 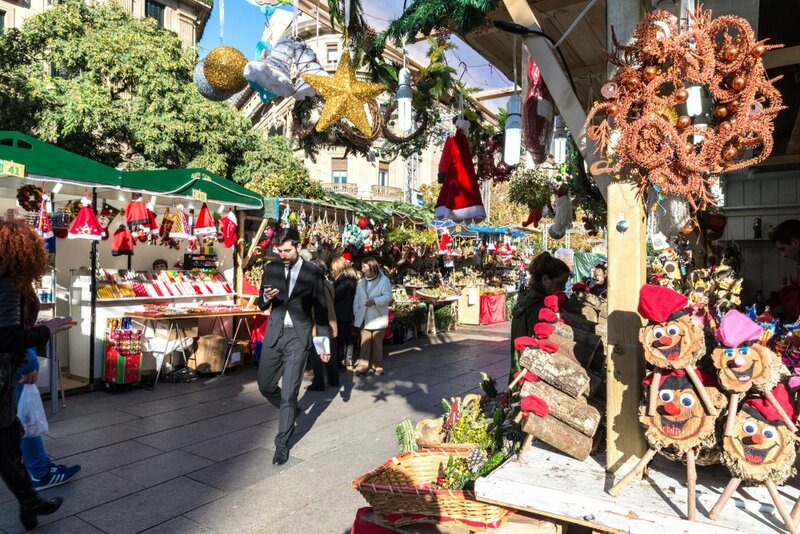 Like many other European cities and towns, Barcelona rolls out extravagant Christmas markets from December to June. Find out about the best Christmas markets the city has to offer and how to make the best of your visit. 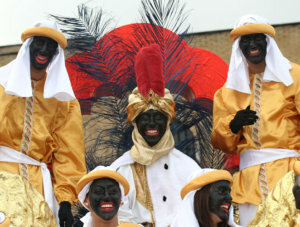 How do they celebrate the holidays in Barcelona? In addition to Christmas markets, there are many unique Catalan Christmas traditions that you can experience in Barcelona. Some of them, like Caga Tio (pooping log), are outright bizarre! But if you’re looking for a different type of Christmas experience, then this is for you. 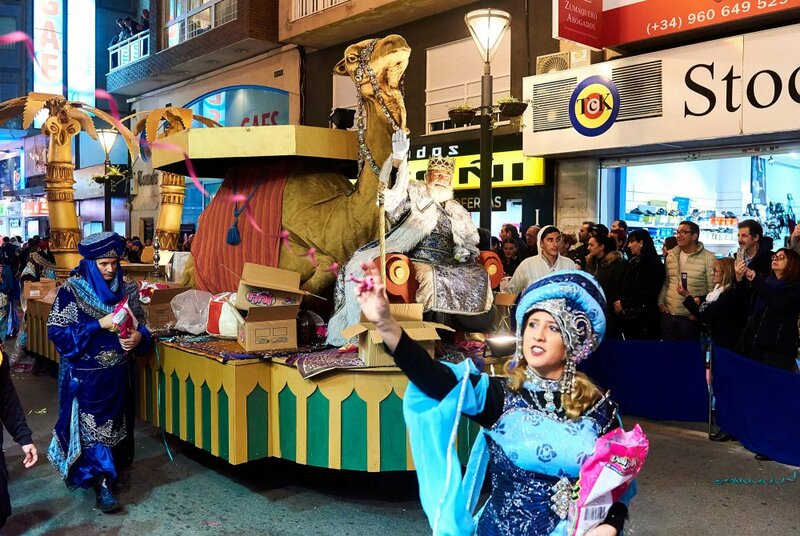 Otherwise, you can check out the more traditional Christmas traditions, like the Three Kings Parade shown above. 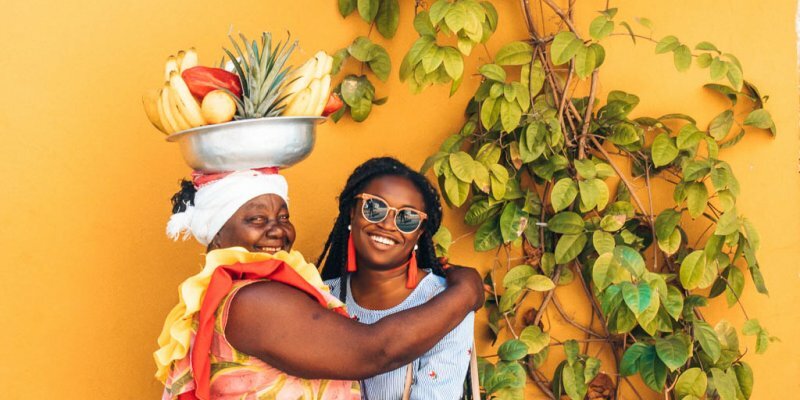 What can female solo travelers do in Barcelona? 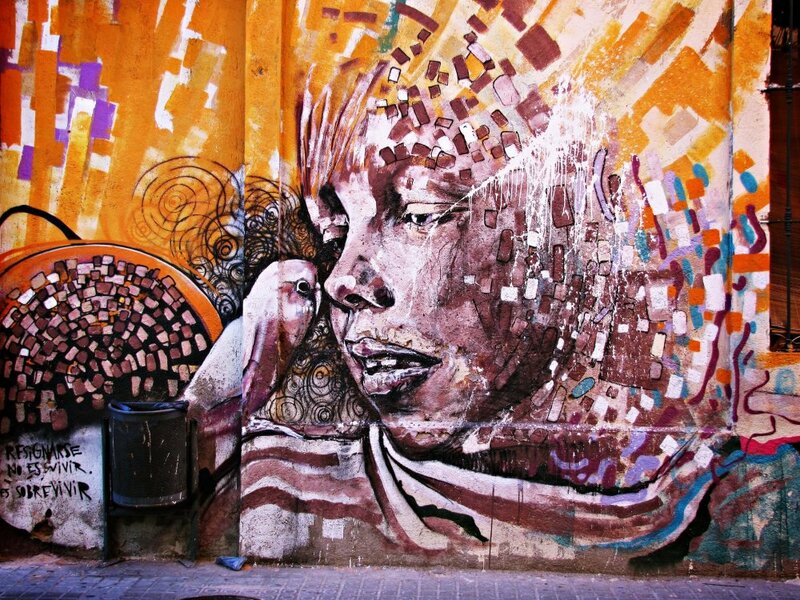 Being a large, cosmopolitan city, Barcelona has a lot to offer solo female travelers. There is a wide range of parks, museums, and architecture you can tour on your own. But that’s only scratching the surface. 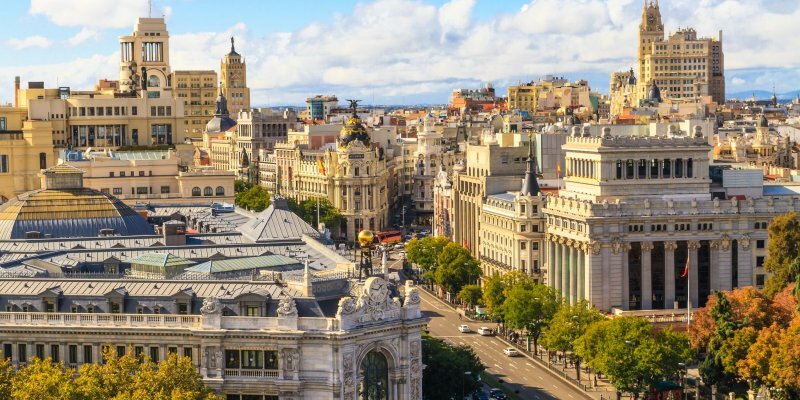 Find out how to plan the perfect solo escape to Barcelona. 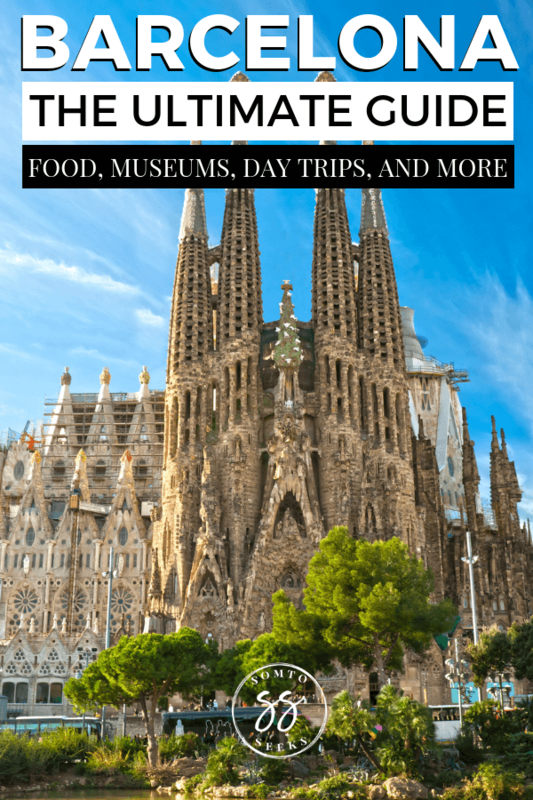 What are the most important Barcelona travel tips to know? 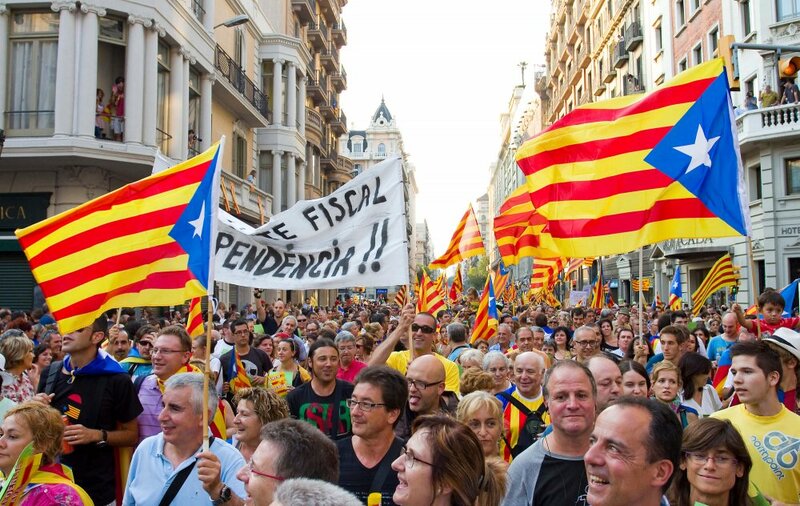 Do you know all about the independence movement in Catalunya? The political climate in the region is one of the most important travel tips to be aware of. In this post, I walk you through the most essential tips for your first visit to Barcelona. These are things that will save you from a major embarrassment, theft, or danger. Based on your feedback from A Self-Guided Walking Tour of Barcelona, I decided to deep dive into how to prepare for your first trip. 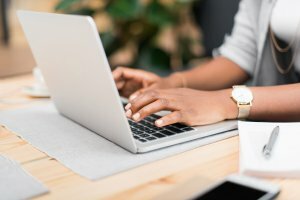 If you’re a first time visitor, be sure to read this post! 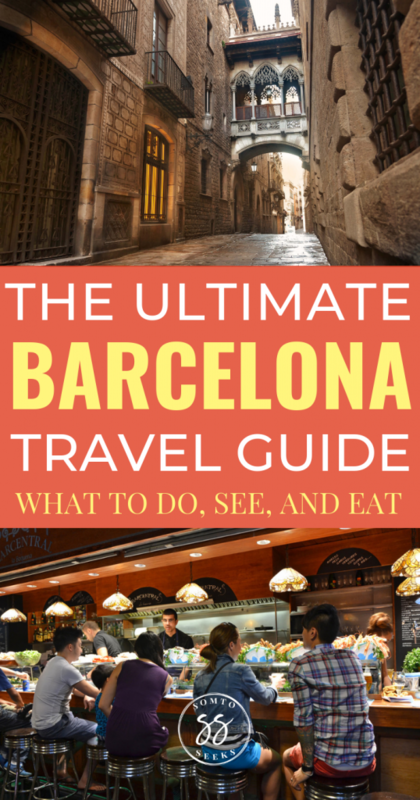 There you have it – the ultimate Barcelona travel guide. Did anything surprise you? Comment below. 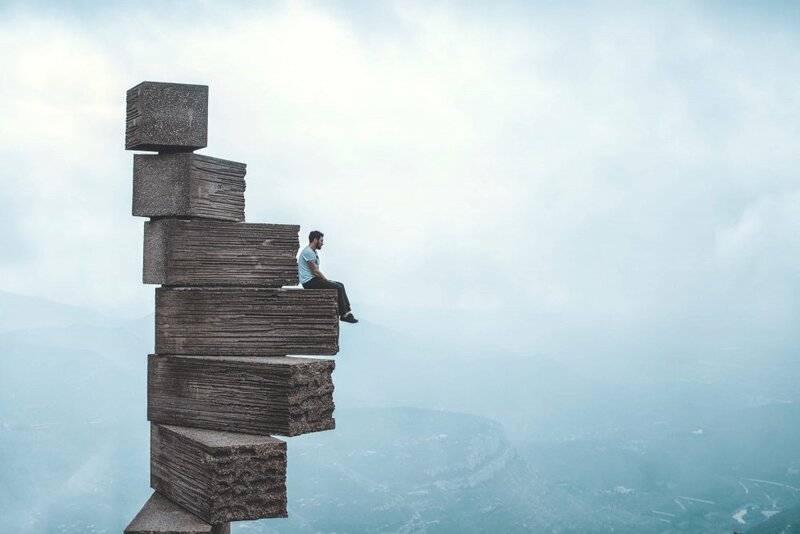 One more thing: if you liked this post, please share!